I managed to get a couple of videos of the evaluation of things exposed by erosion at Ukkuqsi on Thursday uploaded to YouTube. You can see them here, and here. Unfortunately, the erosion continued, and additional items were exposed after I left for a trip to two conferences in Europe, possibly including human remains (this is the site where the little frozen girl was found in 1994). The North Slope Borough is taking care of the situation at the moment. Things have eroded out elsewhere in the Barrow area as well. At one point I was on the phone with someone from the North Slope Borough about one site, when someone else called about something found at another location entirely. And I now have a voicemail about yet another location! 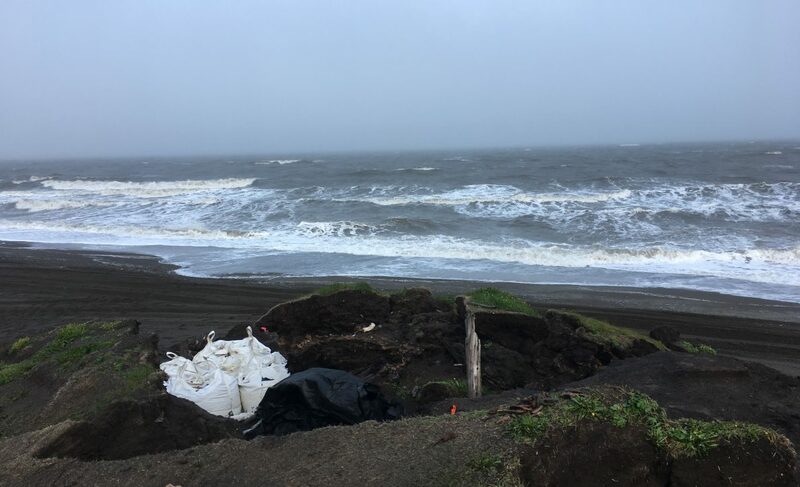 Posted on September 2, 2015 September 2, 2015 by Anne JensenPosted in Archaeology, Arctic, Barrow, Conferences, erosionTagged Alaska, Archaeology, Arctic, Barrow, conference, erosion, Ukkuqsi.